Comparative and superlative - worksheet; write the missing adjectives, comparative or superlative words. Comparatives - one syllable words - Choose the correct completion for the sentence, self checking. 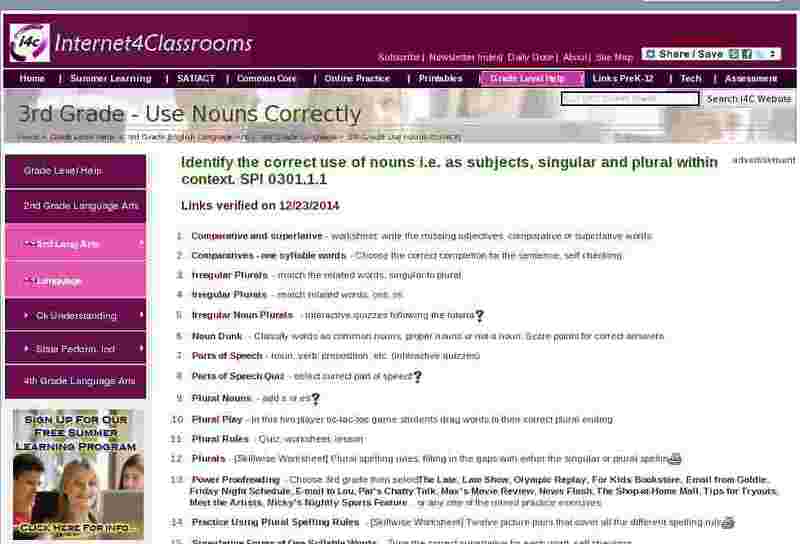 Noun Dunk - Classify words as common nouns, proper nouns or not a noun. Score points for correct answers. Power Proofreading - Choose 3rd grade then select; The Late, Late Show, Olympic Replay, For Kids Bookstore, Email from Goldie, Friday Night Schedule, E-mail to Lou, Pat's Chatty Talk, Max's Movie Review, News Flash, The Shop-at-Home Mall, Tips for Tryouts, Meet the Artists, Nicky's Nightly Sports Feature, or any one of the mixed practice exercises.